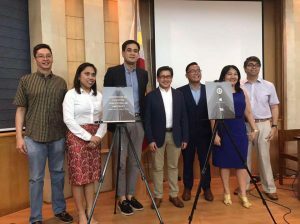 Abad Alcantara and Associates is a legal trade firm in the Philippines and a member of the Israel Chamber of Commerce of the Philippines (ICCP). It is considered one of the country’s leading practitioners in the field of information and communications technology (ICT) law. 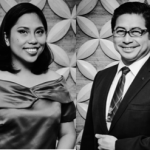 Founded by lawyers Anthony Amunategui Abad and Kristine C. Francisco-Alcantara, the firm offers 40 years of combined experience in representing banks and non-bank financial institutions. Telecom, media and technology companies, whether established or startup businesses, face the same issues that conventional brick-and-mortar companies encounter. These include violations to the intellectual property rights (IPR) and competition laws. Abad Alcantara and Associates works closely with clients in protecting patents, trademarks, and IPR, minimizing the vulnerability of companies, especially startups. In a competitive free market economy, startups require a significant amount of “technics-legal” aid in their early stages of growth, to survive the fast-paced and competitive world of business. Alcantara and Associates enables startups to protect their investments, IPR, and right to access financial and economic markets. Abad Alcantara and Associates also represents clients in matters relevant to the Competition Law. The Competition Law penalizes anti-competitive behavior (business practices that intend to prevent or reduce market competition) and aims to deter similar practices in the future.